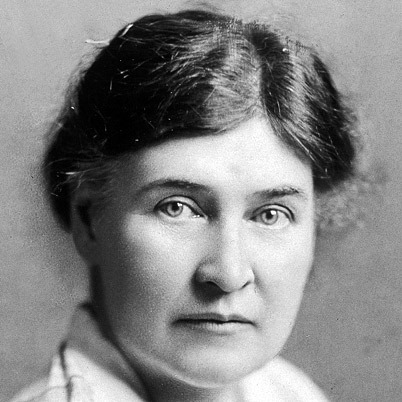 One of the great American novelists, Willa Cather was born in Virginia and raised in Red Cloud, Nebraska. She began writing seriously while a student at the University of Nebraska and, after graduation, moved to Pittsburgh where she worked as a journalist. Moving to New York City in 1906, she worked for the prestigious McClure’s magazine, while beginning to write and publish short stories and novels. Her best known novels, such as O Pioneers!, My Antonia, and Death Comes for the Archbishop, are all set in the Great Plains or the West, and depict both the beauty and the hardships of life on the frontier. Generations of students have read her work. Cather’s primary emotional relationships as an adult were all with women, and she lived for the last four decades of her life with Edith Lewis, an editor who supported Cather’s career, until Cather’s death in 1947. Lewis later wrote an affectionate biography of Cather, titled Willa Cather Living: A Personal Record. In 2013, for the first time, a collection of Cather’s correspondence was published, The Selected Letters of Willa Cather.